Do you remember as a child going gaga over "palayok" toy cookware or a three-storey doll house? Probably as a boy, a Voltes V steel action figure was what you used to play? 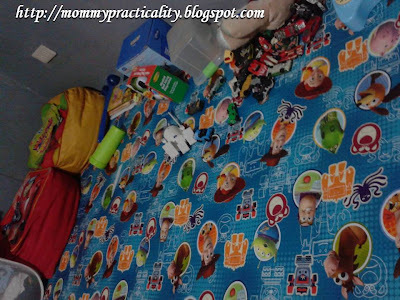 When I was younger, I had a closet of toys and enjoyed playing street games or larong Pinoy with cousins like "patintero," "luksong baka," and Chinese Garter. No computer games, no PSPs, no other gadgets except our Game n' Watch. It's different now with the kids of this generation who could easily play just by connecting to internet. That's why I made a trip with my kids to Toy Kingdom's Toy Expo last August 25 to fascinate at these toy exhibits. 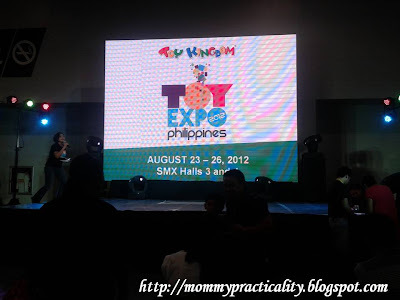 The 2012 Toy Expo of Toy Kingdom was held at the spacious SMX Convention Center Halls 3 and 4 at Seashell Lane, Mall of Asia Complex, Pasay City. 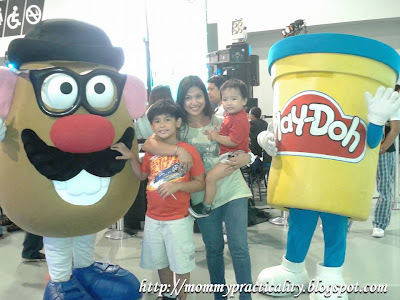 A number of Character Mascot Meet and Greet was part of the day's activities. Fortunately, we bumped into Mr.Potato Head and Play-Doh to have a picture with us. 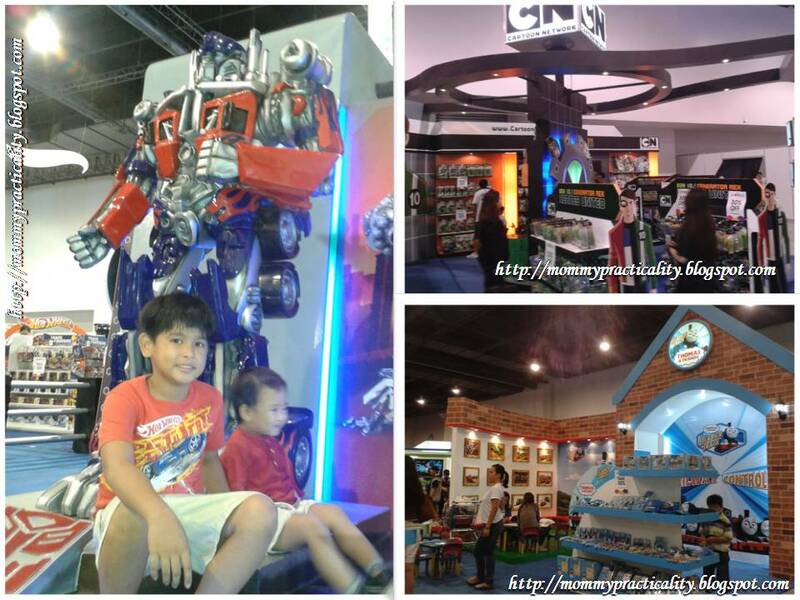 My boys enjoyed the booths of Transformers, Cartoon Network, Thomas and Friends, NERF and Nickelodeon. The Marvel Exhibit as well as NERF, was my 8 year-old son's favorite. Nerf had a mini shooting range for the kids to try out its toys. 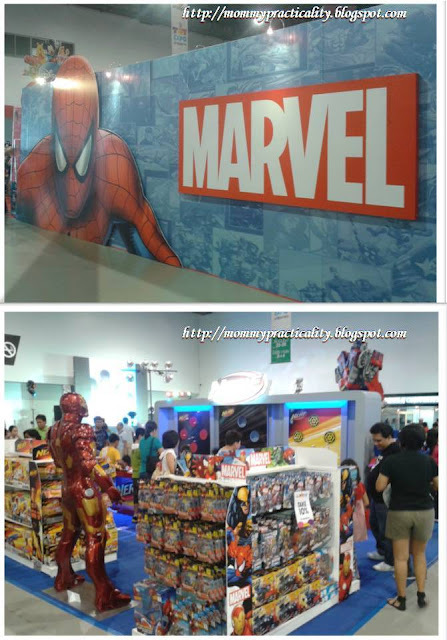 Marvel's exhibit was huge and a lot of toys were on sale. Meet and Greet of characters, games and Lalaloopsy Toy Auction were held on this stage at the end of the convention halls. Several tickets for the Disney Live Show were given away during Q & A for kids. Four tickets per kid, imagine that. My dear Dandre kept raising his hands (both hands) to answer for a chance to get those tickets. Unfortunately, smaller kids were picked. The Little Tikes exhibit booth was a hit to toddlers like my almost two-year old son. He couldn't leave the mini-playground and the car tikes. It was a struggle getting him out from the booth when we were about to go home. 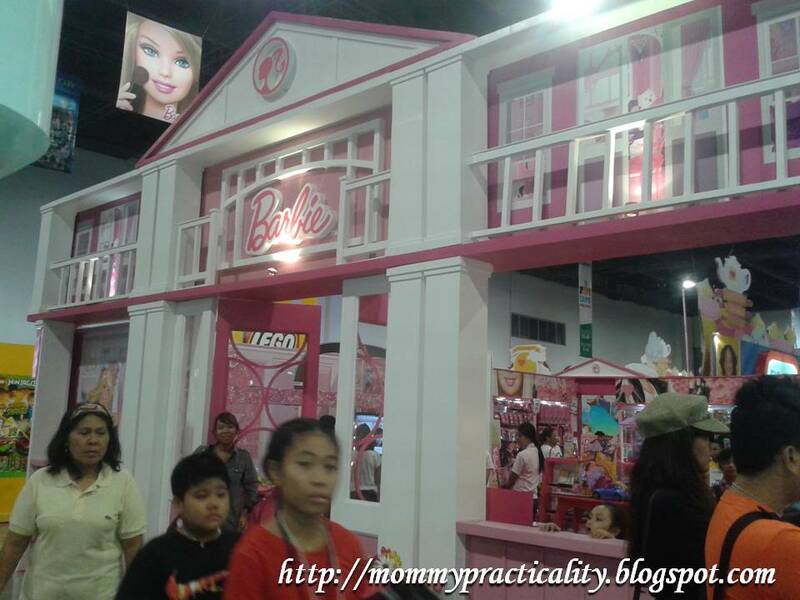 Oh dear, since I don't a daughter, I went solo in visiting these princess-like exhibit booths of Barbie and Hello Kitty. Barbie dolls were on sale too, clothes, accessories, doll house furniture, name it, they've got it. For Hello Kitty fans, who wouldn't fall in love with her? 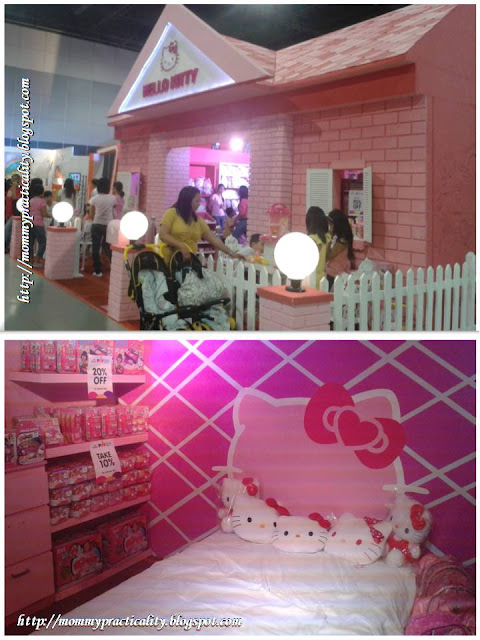 Look at her cute house with this customized Hello Kitty room with a Hello Kitty bed. Toys, tumblers and other accessories were on sale as well. We didn't come home empty-handed. 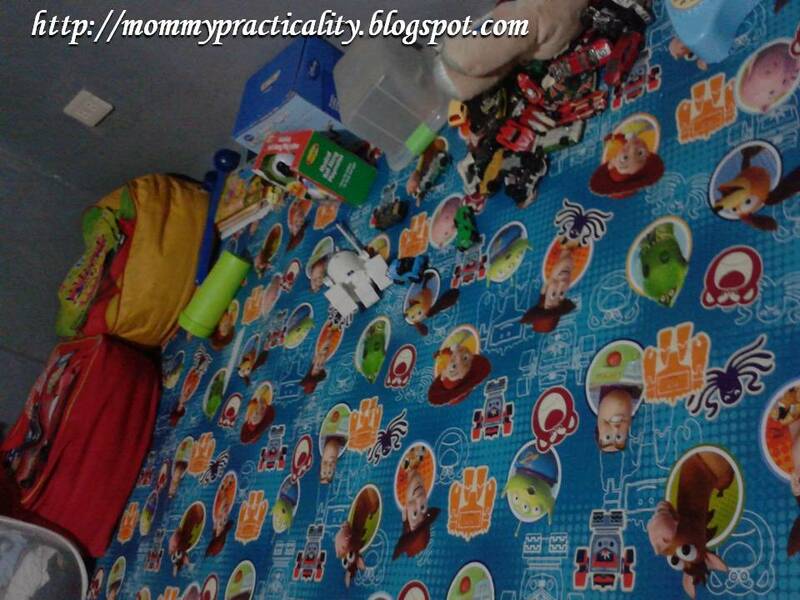 We grabbed this Toy Story play mat on sale for only P100.00! What a cool deal! 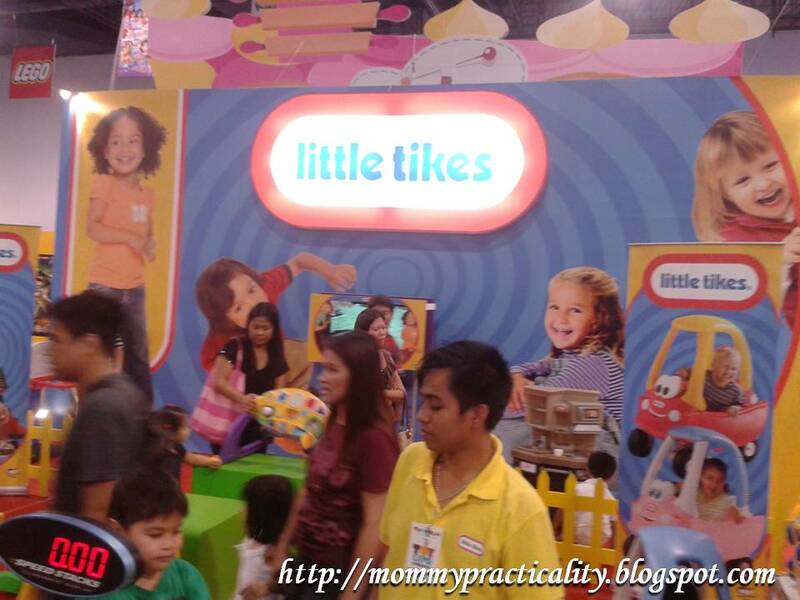 Toy Kingdom did a great job in putting all these toy brands together to showcase their newest toys and even include those on sale. The expo, for a consumer like me, somehow signaled the start of the early Christmas shopping. Too bad it only lasted for four days (August 23-26). But you could still visit any Toy Kingdom store and see relatively the same toys for sale and on sale. Since it's already the 'BER" month, it's time to save up for the upcoming Christmas season. 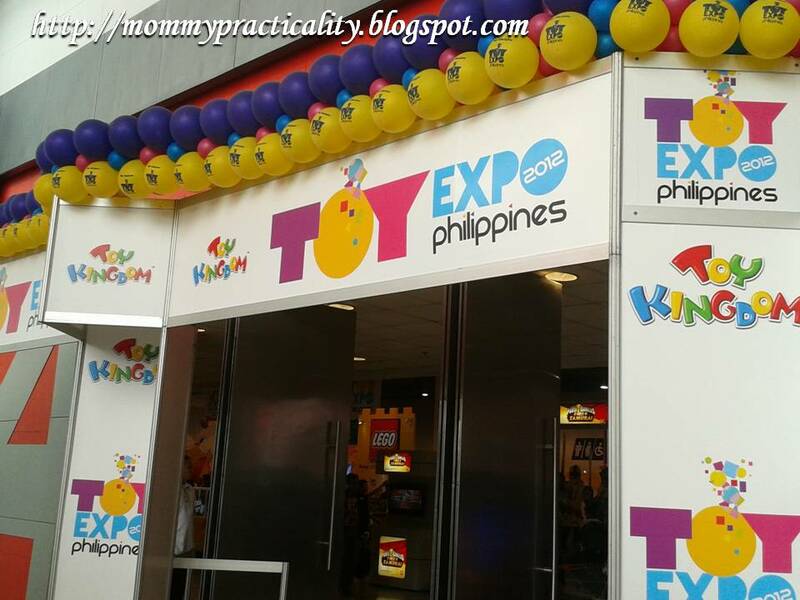 For more information on Toy Kingdom, visit their website at http://toykingdom.ph. You may also "Like" their Facebook page or follow them on Twitter. Aaaww.. kahit ba Toy Kingdom wala? Wow so many toys! Sayang hindi ko ito nalaman agad. :( Well maybe next time na lang.